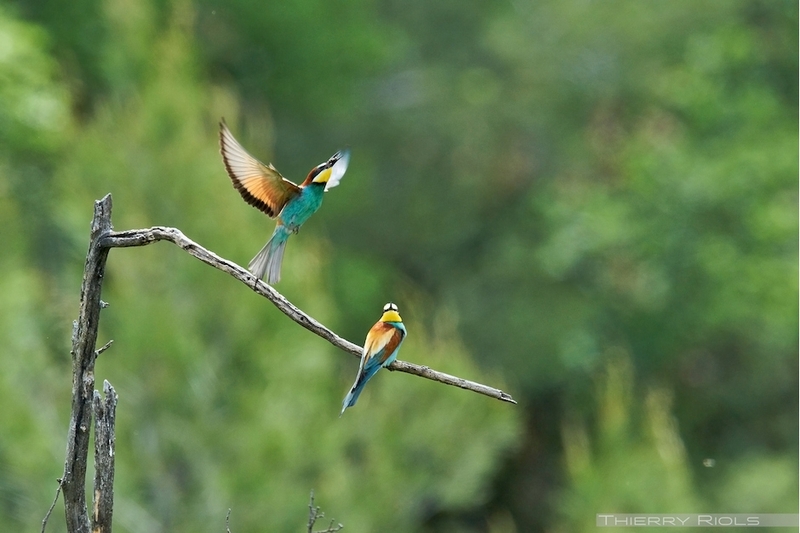 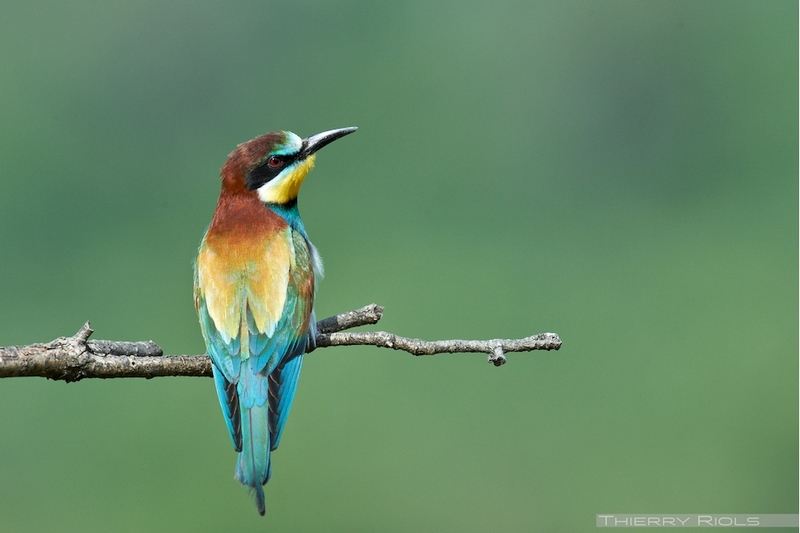 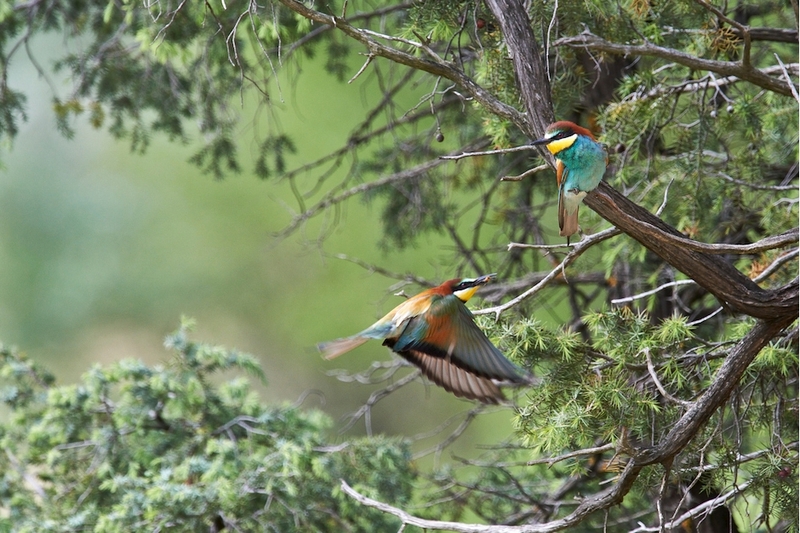 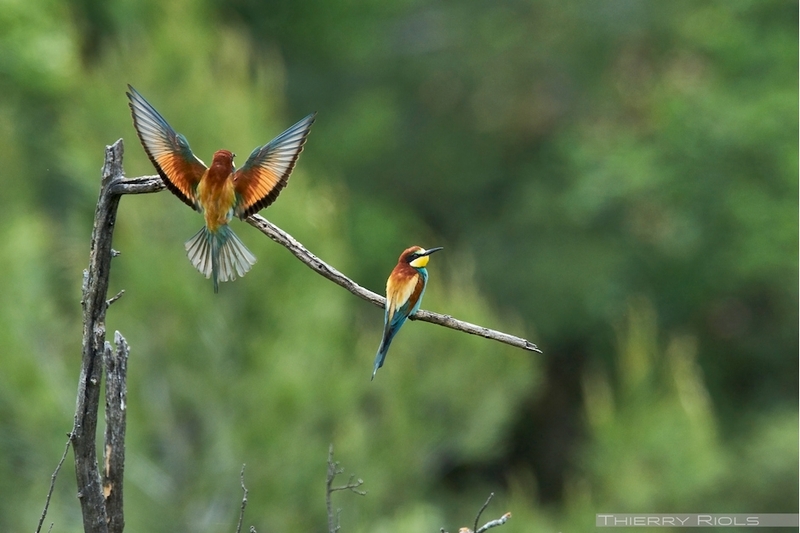 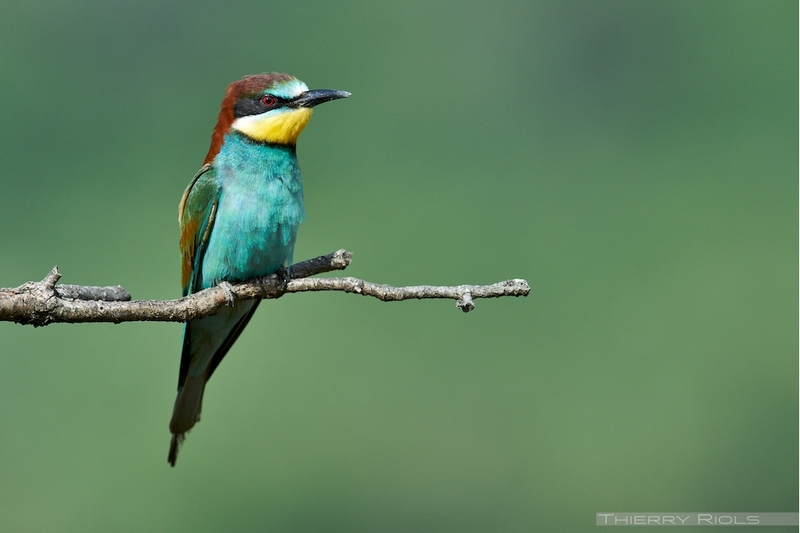 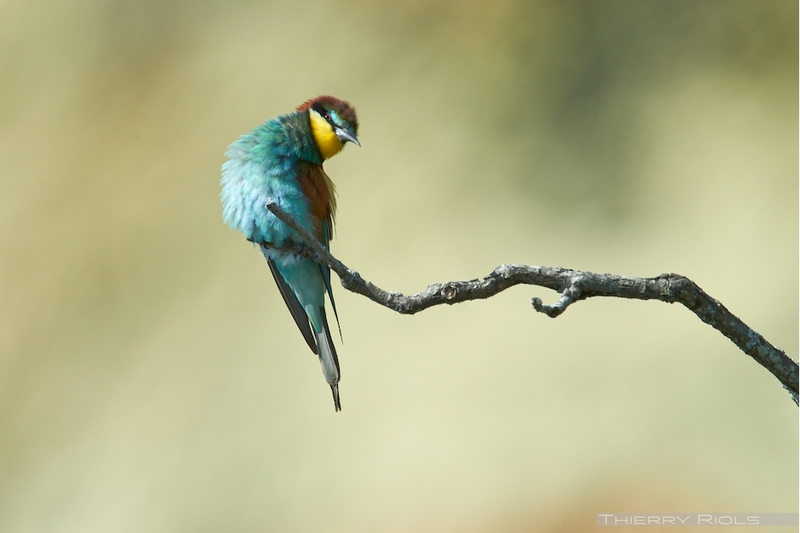 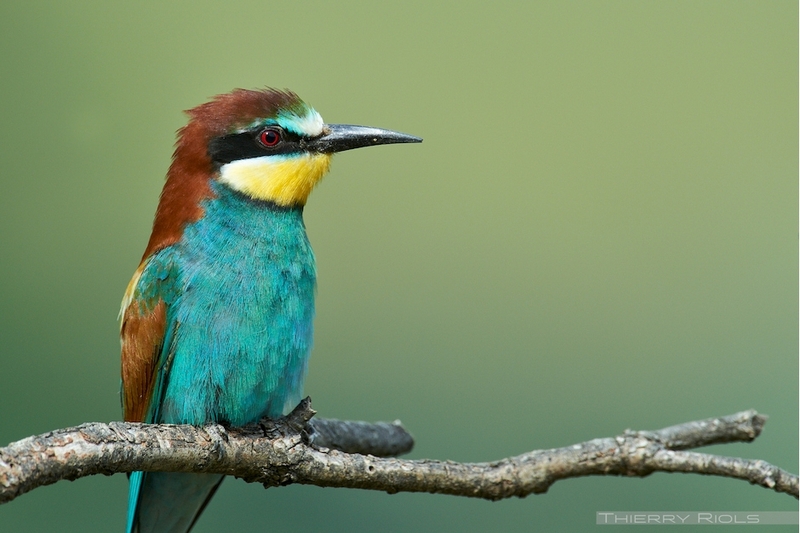 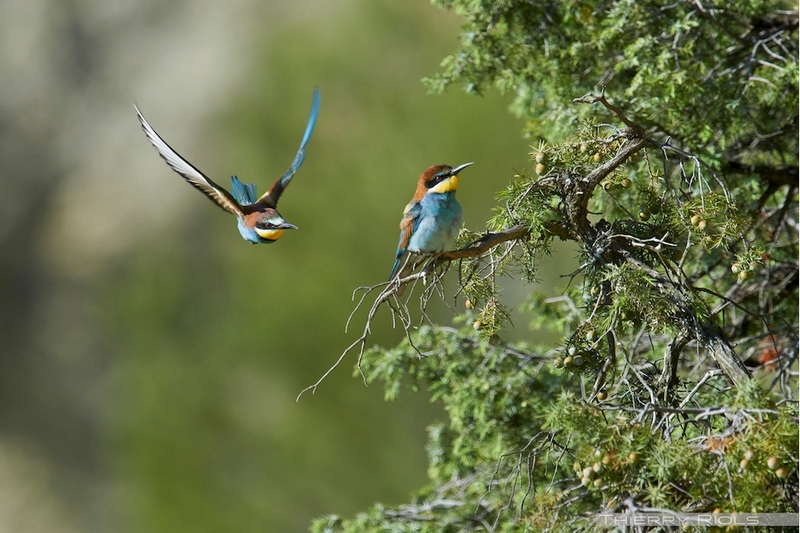 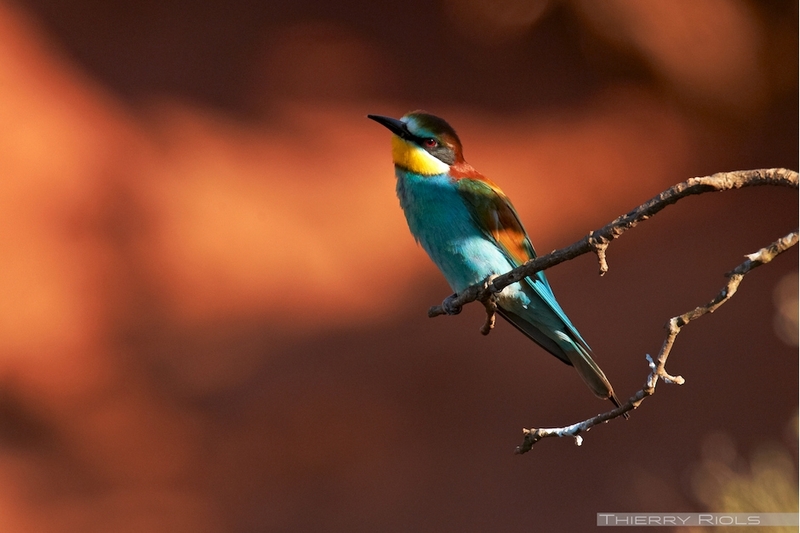 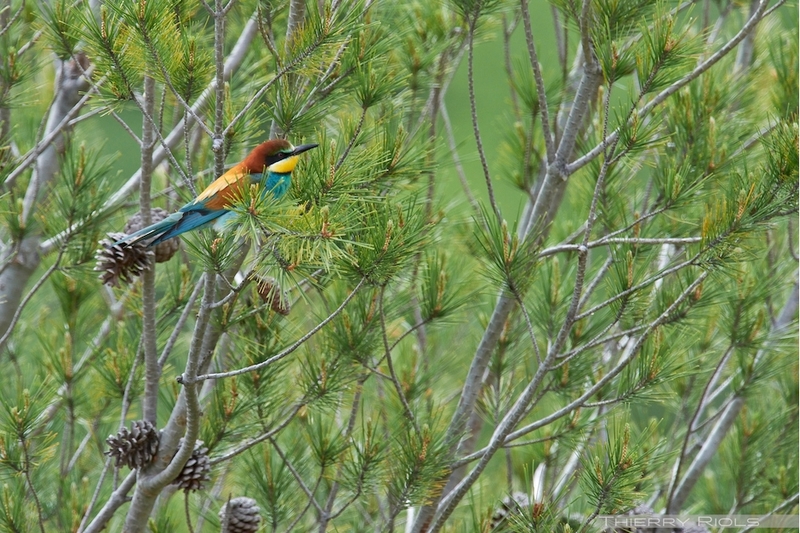 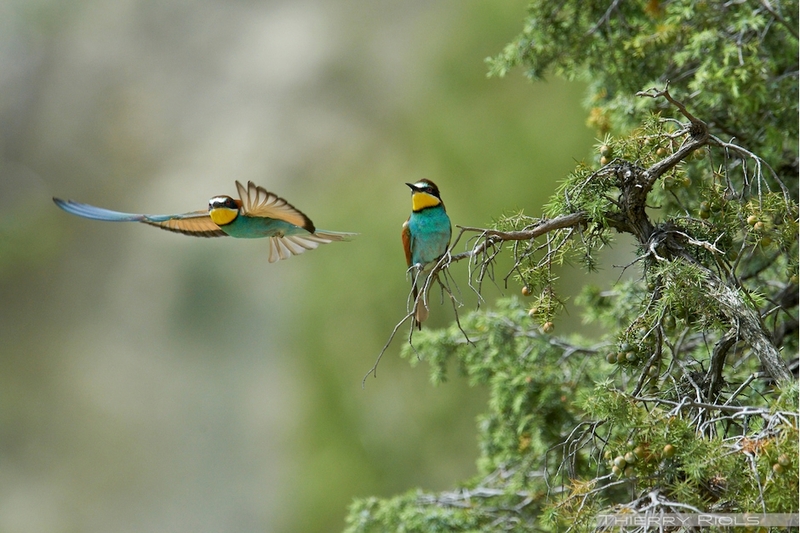 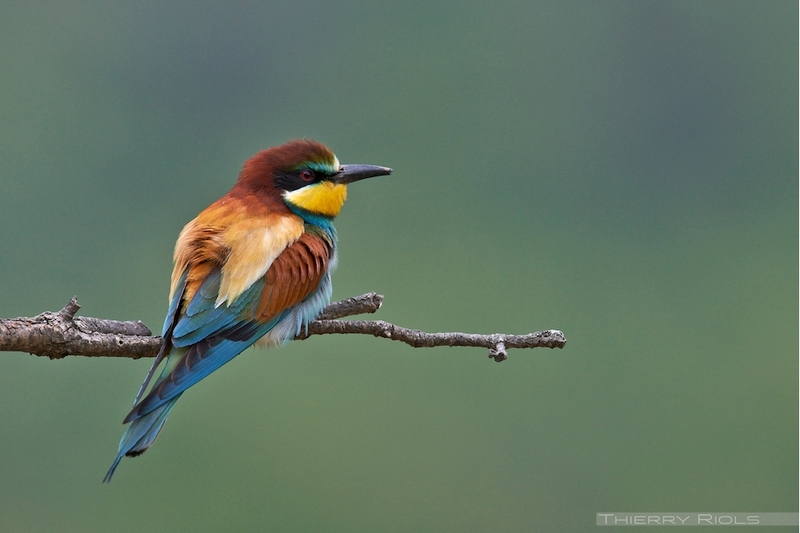 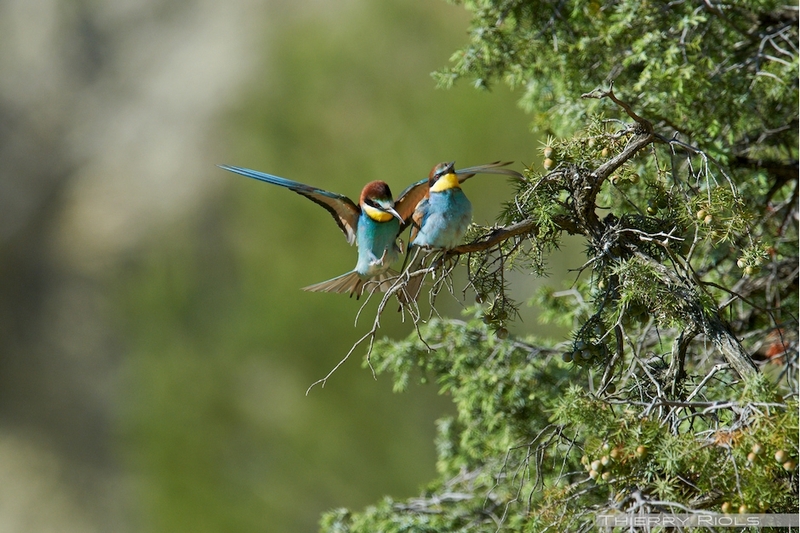 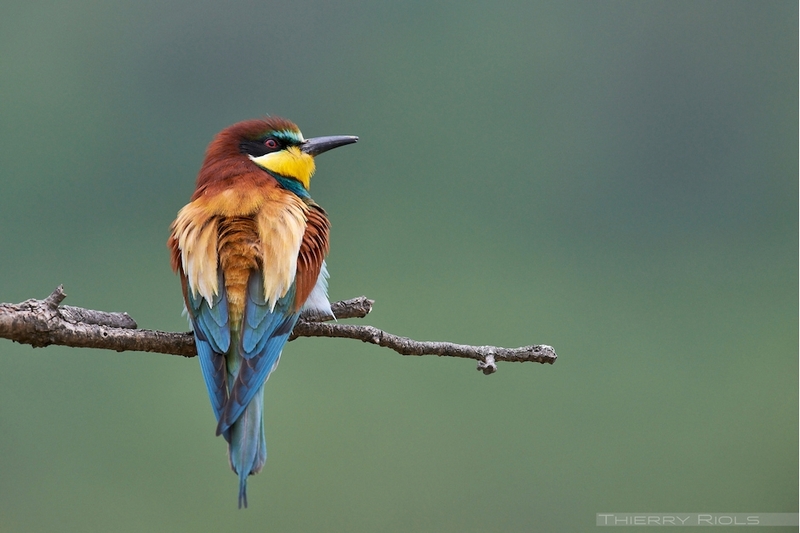 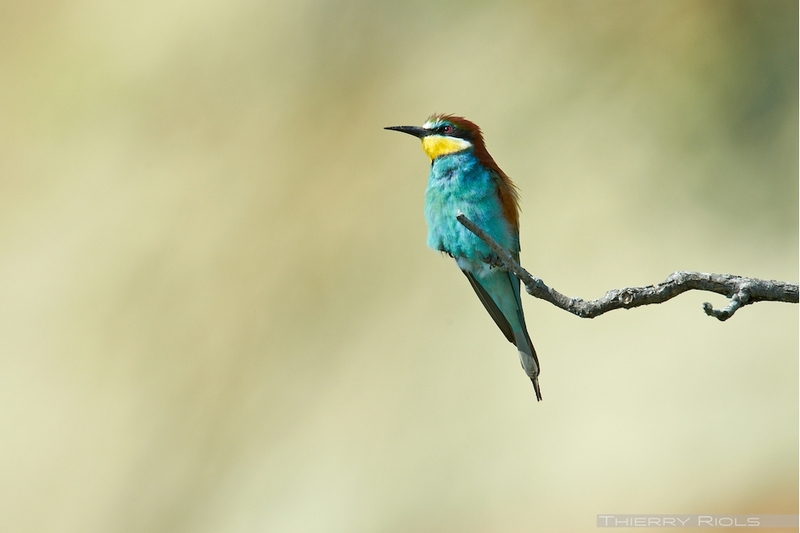 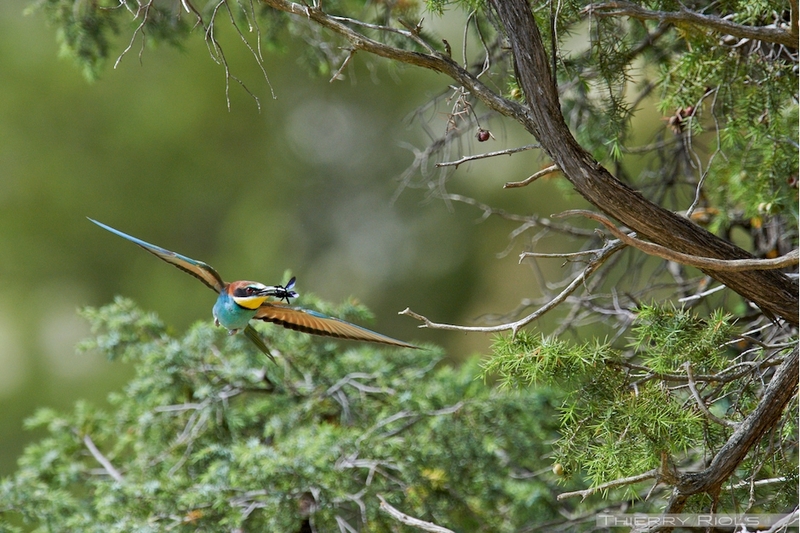 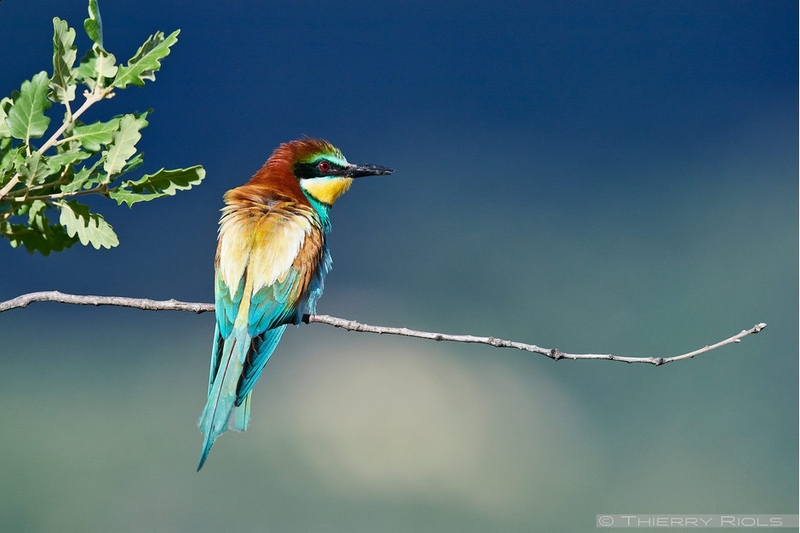 The European bee-eater - Merops apiaster - is one of the most colorful birds that are found in France from May to September. 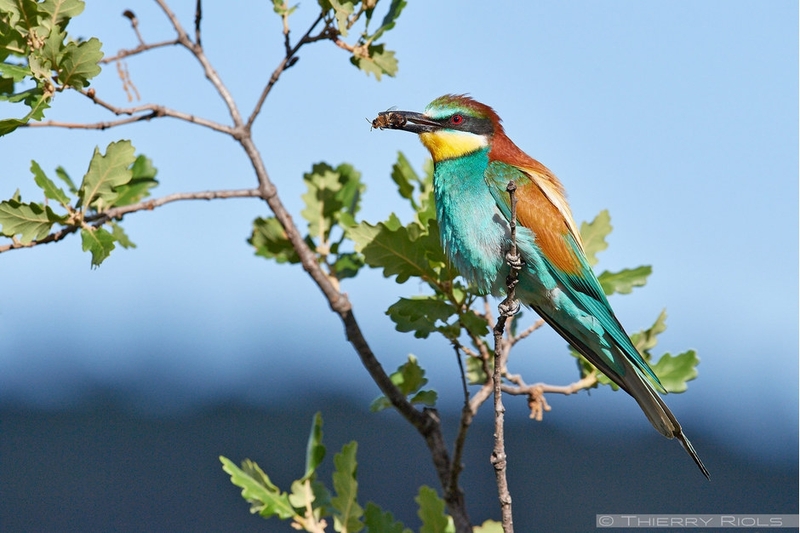 The rest of the year he joined the warmer southern regions. 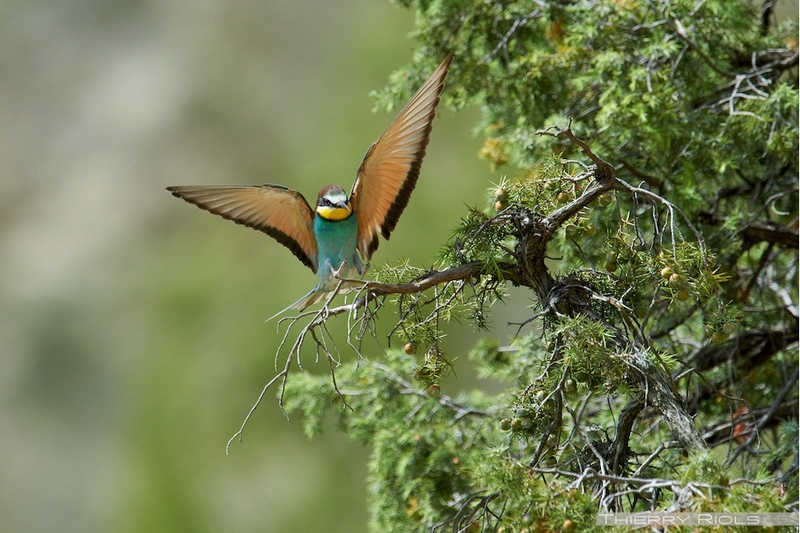 It feeds on insects it catches its rapid flight and nests in sandy cliffs. 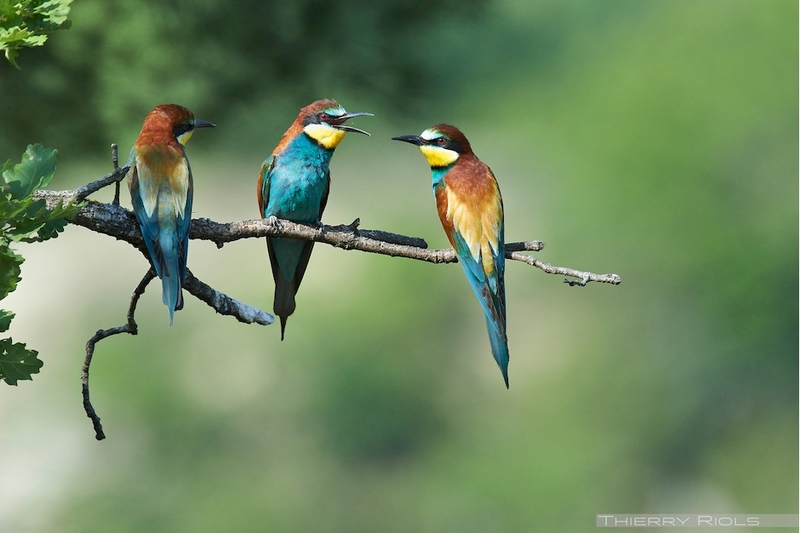 Its migratory range is expanding.